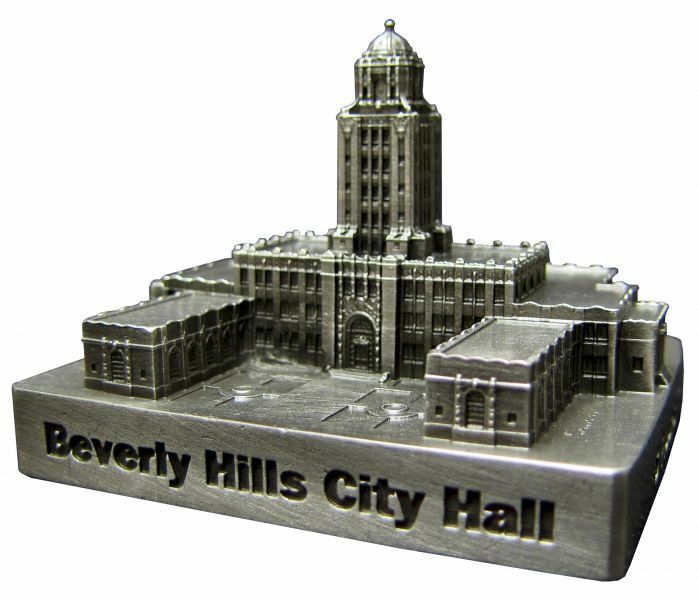 Beverly Hills City Hall is located at 450 N.Crescent Drive in Los Angeles, California and was completed in 1932. This building was designed by William J. Gage and stands 230 feet tall with 8 floors. This pewter replica stands just under 2 inches tall and is finished in antique pewter. This model's scale is 1 inch = 150 feet.